Ainsworth Gaming Technology is an Australian software developer. This company seldom comes out with quirky video slots, and Roaming Reels is one such online slot game. 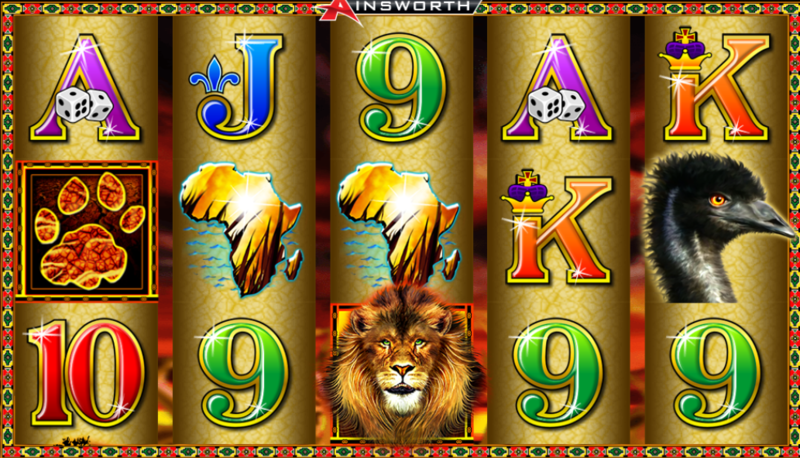 This Ainsworth creation is a safari-themed video slot which is a brick and mortar inspired casino game. This online version comes with a classic 5-reel along with 100 fixed paylines. The backdrop of this game is furnished with the famous Savannahs which means you will have an exotic view for days. The game has interesting symbols and bonuses for you to discover. The most exciting part is that Roaming Reels houses free spins which can go up to 20 in a go. The African safari based video slot may do really well in graphics and symbols; however, players are more often than not looking for more lucrative games. Roaming Reels can be played with an amount of £1. This is the minimum amount which can be extended up to £75 per spin. The maximum coins per lines are 1, while the coin size ranges from 0.01 to 0.75 per line. This game houses a jackpot feature which can give you 10x times the wager. The RTP of this game is really low. It stands at 94.14%. This is really a major downer for a game like Roaming Reels. Roaming Reels features African plains as its backdrop. Since it is an African-safari based game, you can be sure to find exotic species as its symbols. The symbols are a bunch of wild animals. They are Emus, Zebras, Ibex, Antelopes, and other wild beats. Apart from these ones, you have your normal value cards which are the standard digits 9, 10, and alphabets A, J, Q, and K. These symbols usually symbolize normal to the low value, while the higher paying symbols are the Map of Africa, Ibex, Emus, and Paw Prints. The map of Africa can accrue you a payout of 1000 times more than your wager. This will occur if you get 5 of the symbol in a pair and it’s a really lucrative feature. Another very important symbol is the Lion symbol. It, of course, denotes the wild symbols. This symbol only appears on reel 3/4/5. 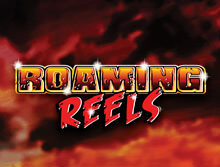 Roaming reels is a very compatible game which works on every operating device along with any electronic device. So you can be rest assured to have a hassle-free experience. If you land three baobab tree scatter symbols, then you can attain 8 free spins. This will also give you 2x times more than the stake. If you land four baobab tree scatter symbols, then you can attain 12 free spins. This will also give you 10x times more than the stake. If you land five baobab tree scatter symbols, then you can attain 20 free spins. This will also give you 100x times more than the stake. Wild Feature: Roaming Reels has a wild feature which is indicated by the lion symbol of the game. This is the only wild feature in the game. The mighty symbol only appears on reels 3/4/5, so you should be on the lookout. To trigger this symbol, your contribution can be just to wait as the lion symbol fills the entire reel. As it does, that extends the free spins. The lion symbol only requires 3 or more than 3 scatters to trigger the magic. It will allow you an extension of 5 free spins at a time. At this point, if the paw symbol appears then you will be able to avail a payout for 20x instead of 5x as you may notice in the base game. The safari-themed video slot is an interesting game to begin with. It tries to offer a lot with its graphics and features but doesn’t do anything out of the ordinary. That being said, this game has not deprived its players for features like wild scatters and free spins. You will most certainly enjoy the game but the same cannot be said about its RTP. The RTP stands at a low rate of 94% which is definitely to re-consider. All in all, this game is decent and can be played in times of boredom.